Ramadan is the mother of all months. It is the best month in which the first verses of the best book of guidance were revealed to the best man by the best angel for the best nation. A blessing in opening the fast in congregation, together with others. Get a Qur’an buddy or listen to the Qur’an for there’s a reward. Add other optional prayers like Salatul Doha and of course Taraweeh in a place where the Qur’an is eloquently being recited. Remember, even though you are may tired and energyless, don’t forget good manners like smiling, spending quality time with family, helping others and saying a good word can all be forms of charity. Be in the company of those who are also remembering Him. No fasting to please people or just to lose weight. No to anger, fights, belitting or arguments. No needless social media usage. No belittling those who are not as practicing as you. Ramadan is a beautiful month revolving around ‘ibadah, a gift from Allāh to erase our sins and to help us establish a strong, long-lasting bond with Him. 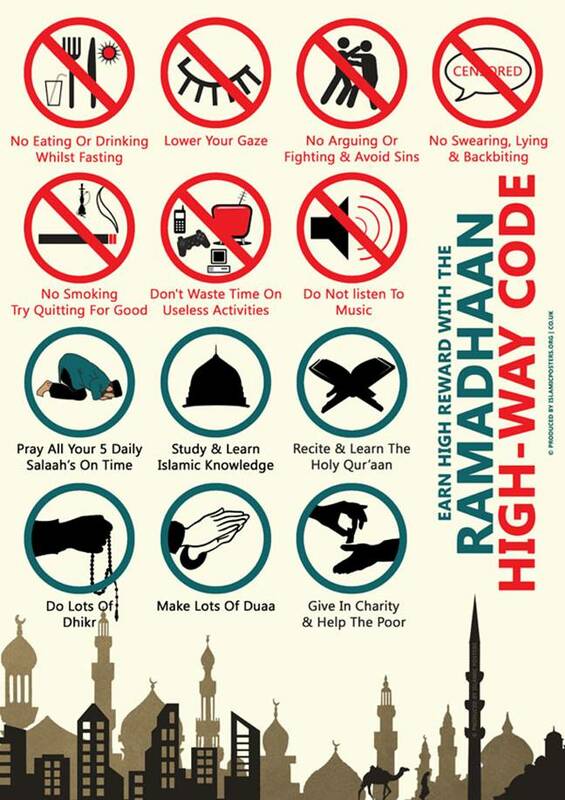 Do not waste this chance by pursuing trivial activities, which should not be pursued outside of Ramadan too. Treat it as your last Ramadan, thus stimulating yourself to maximize your rewards. May Allāh make us from those who fully utilize this month and from those who win His acceptance and forgiveness. Ameen.